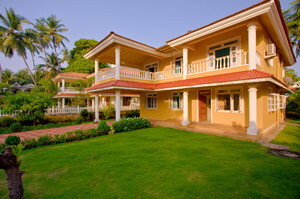 Rent a house in Goa for the long term in some of the most popular areas. Enjoy all modern amenities like hotels and resorts. The entire property will be yours – it’s like your own personal home in Goa. 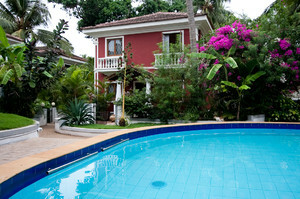 Private swimming pool, security, great locations! We handpick our villas to make sure each property offers a little extra. Some villas are close to the beach, some have amazing views, a perfect location, some are modern buildings or small, cozy properties, or old colonial Portuguese structures. Cozy 2-bedroom villa, a picturesque garden. Villa Ashvini with spectacular views and the European quality with 2 bedrooms. 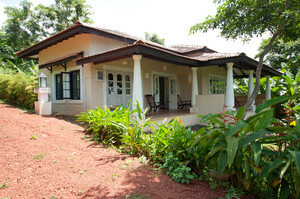 Suitable and well-equipped villa is located in Colva village. Elegant villa with two bedrooms and a stylish living room. The Orchard House located in a quiet and serene village far from the maddening crowd. Some of the best houses you will find, all premium properties, offering high-quality luxury living. Many are modern homes, and others are old, colonial Portuguese mansions that have been wonderfully refurbished with all modern amenities. Houses for rent are with private swimming pools, manicured lawns, deck chairs, loungers, plasma television, air conditioning, juicer, coffee maker, modular kitchen, free Wi-Fi, maid and chef services, and more. Stay close to the party-zone of the North – Baga, Candolim, Calangute. Night clubs, pubs, cafes, restaurants, beach shacks. Visit some of the main tourist attractions – Aguada Fort, Chapora Fort, Immaculate Conception Church, Salim Ali Bird Sanctuary, Panjim, night markets, and others. More nature, more serene beaches further up the North. Holiday homes are generally cheaper than the South. Young people who are looking for fun, action, partying. Those keen on water sports. Those visiting Goa for the casino experience. 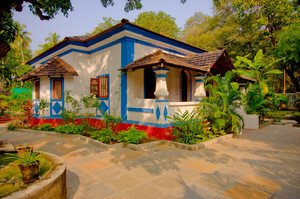 Holiday makers who want to see some of the famous Goa landmarks. Some of the more upscale beaches — Majorda, Betalbatim, Benaulim, Cavelossim, Palolem. 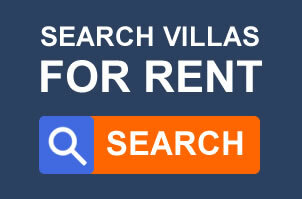 Very good holiday homes for short-term or long-term rent. Coconut-tree lined more serene beaches. Quieter, cleaner. Restaurants, cafes, beach shacks, pubs, and bars. Those who appreciate nature, want a calm, clean and quiet beach. Good for families, safer for the kids. People who want a relaxing vacation. Bird watching, dolphin watching, river cruise. Water sports, but less noise and chaos. 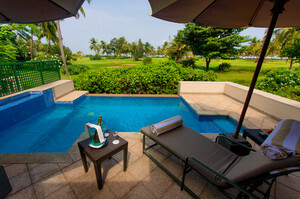 Holiday homes with private pool will surely make it a fantastic vacation in Goa. 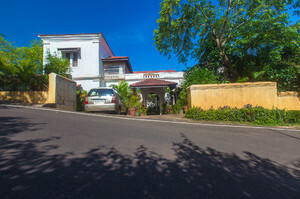 There are plenty of properties to choose from all over Goa, irrespective of your purpose of the Goa visit, whether it is for partying, or relaxing under the shade of a tree or on a lounger at a beach shack. You can choose from 1, 2 , 3-bedroom holiday homes, just the right size for your group. Visit with your friends or family. You will have complete privacy on your next Goa visit. The pool will be only for you and your group. Ask for chef services, or eat out. There are restaurants very close to your place. Buy groceries and cook a meal if you are travelling with kids or aged people, who need home-cooked food. Hotel meals are not always recommended. 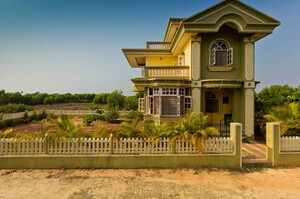 A house for rent in Goa will give you an amazing experience, surely. It’s just like your home, away from home. Pick from the wonderful holiday homes we have here.